Since the discovery of penicillin, antibiotics have been used to save countless lives from the potentially deadly consequences of infection. While these medications have become a vital part of today’s healthcare system, bacterial resistance to these drugs is increasing due to overuse and misuse of antibiotics. In order to ensure that antibiotics are able to continue working and saving lives, we must work toward improving antibiotic prescribing and use in outpatient health care settings, such as clinics, offices, and emergency rooms. This is known as antibiotic stewardship. Misuse of antibiotics is a major contributor to the development of antibiotic-resistant bacteria. At least 30% of all antibiotics currently prescribed in the outpatient setting are done so unnecessarily, and as much as half of outpatient antibiotic selection, dosing, or duration in humans may be inappropriate. As antibiotics do not work on viral infections, antibiotics should be prescribed only when a bacterial infection is known or suspected. 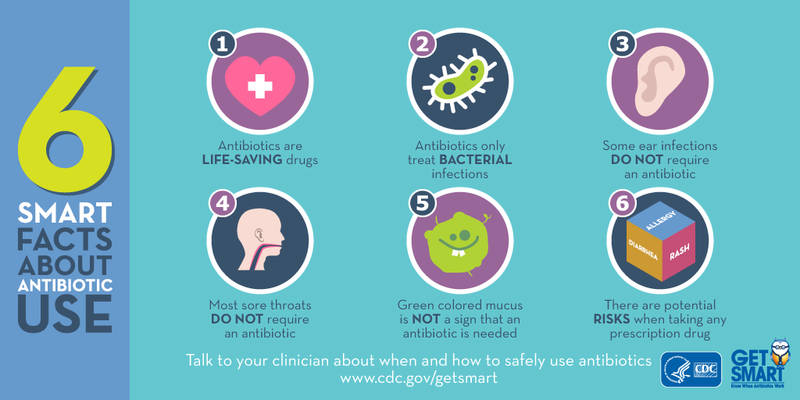 Ask your healthcare professional if there are steps you can take to feel better and get relief from your symptoms without using antibiotics. Pressure your healthcare professional to prescribe an antibiotic. Take the prescribed antibiotic exactly as your healthcare professional tells you. Skip doses or stop taking an antibiotic early, even if you no longer feel sick, unless your healthcare professional tells you to do so. Safely discard any leftover medication. 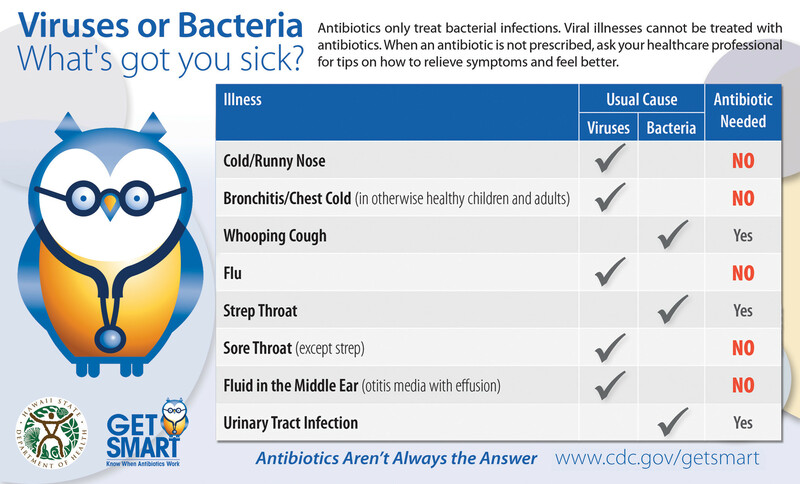 Save antibiotics for the next time you become sick or take antibiotics prescribed for someone else.